Just in time for fall, I'm sharing a Harry Potter themed party! Shout-out to my Hufflepuffs. We used these printables for a Potter themed Christmas, but they would be great for birthdays, Halloween, Thanksgiving, or just because you're a gigantic Harry Potter fan. 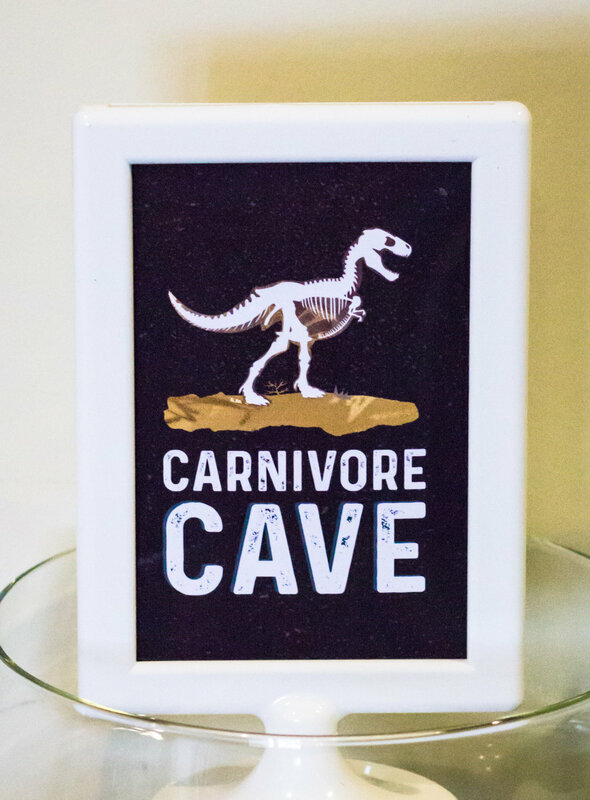 Grab the free printable food cards and table signs at the end of the post. Our party was on Christmas Eve morning, so we made it a Harry Potter Pajama party. The shirt from below was one of my favorite Christmas presents! The “Three Broomsticks” mug was made on Island. My husband and I are total Harry Potter nerds (resident Hufflepuff and wannabe Slytherin) so all of the Funko Pop figurines you see scattered throughout, are from our own mini collection of them. It was nice being able to use them for something productive LOL. 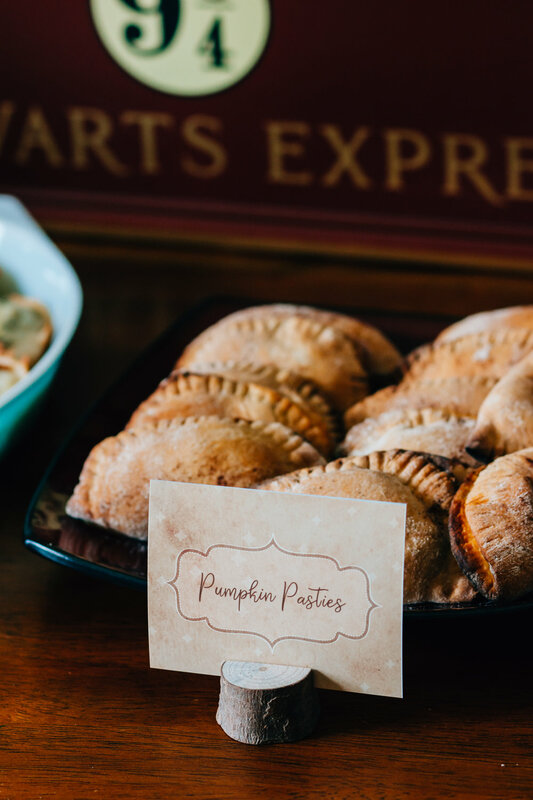 Pumpkin Pasties (Recipe), Herbology Bites - (Recipe), Werewolf Chow, Deviled Dragon Eggs, Golden Snitches, and of course we had Butterbeer (Recipe). We love creating custom orders! If you need a larger size sign or want your own signs to match your event, send us a message on Etsy! Custom party signs can be ordered here. Products we used to make this party pop! This content includes affiliate referral links. Read our disclosure policy for more info. We're sharing one of our favorite throwback parties this week. This puppy pawty was a special request for a 3 year old OBSESSED with pups. There was a "Barkery" station where kiddo's could decorate their own dog bones, homemade puppy masks, doggie treats, and an Adopt A Puppy station. 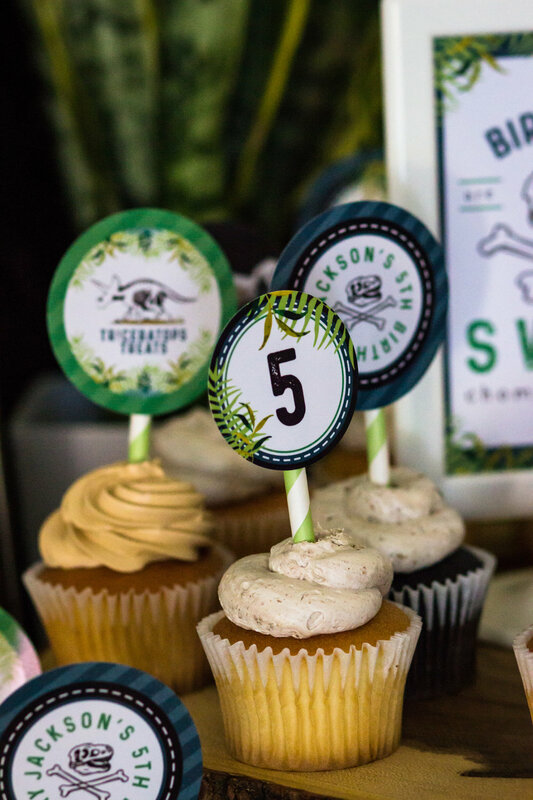 Scroll down for party ideas, free printables, and links to our shop for some of the fun printables we used to make this party come to life. One of the best things about this party, is that the food was so easy! 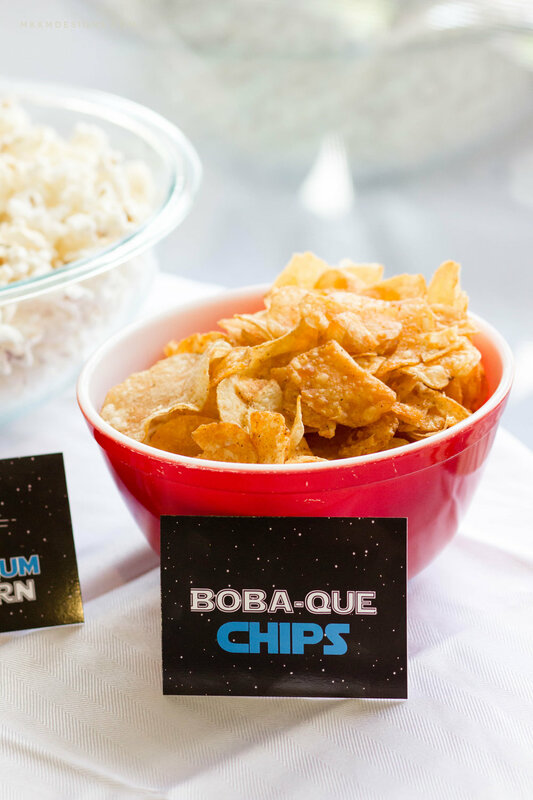 A few simple punny food ideas and there were enough snacks to last the whole party. We bought a couple new dog dishes and used them as bowls for a lot of the snacks. A few of our favorites are listed below. 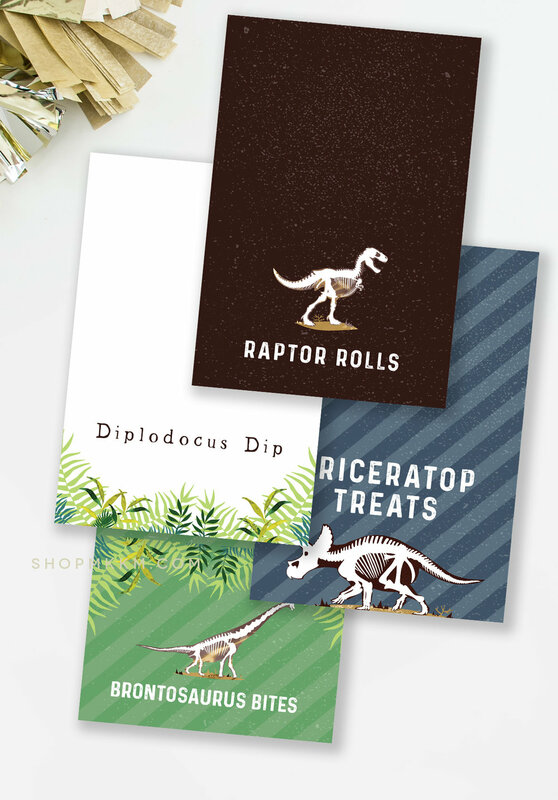 These Puppy food cards come in either of our party kits over on Etsy, or if you'd just like the cards customized to your event, custom cards are available here. These food cards come in either of our party kits over on Etsy, or if you'd just like the cards customized to your event, custom cards are available here. Each kiddo went home with their own little toy puppy. The birthday boy's mama made the cute little fence out of some gardening dividers to corral them all in. You can grab the printable Adoption Certificate sign for free here and grab the matching table signs in our shop here. Grab the matching invitation or the entire party kit in our printable shop here. An Instant download version is available on Etsy. Hope you enjoyed looking through! 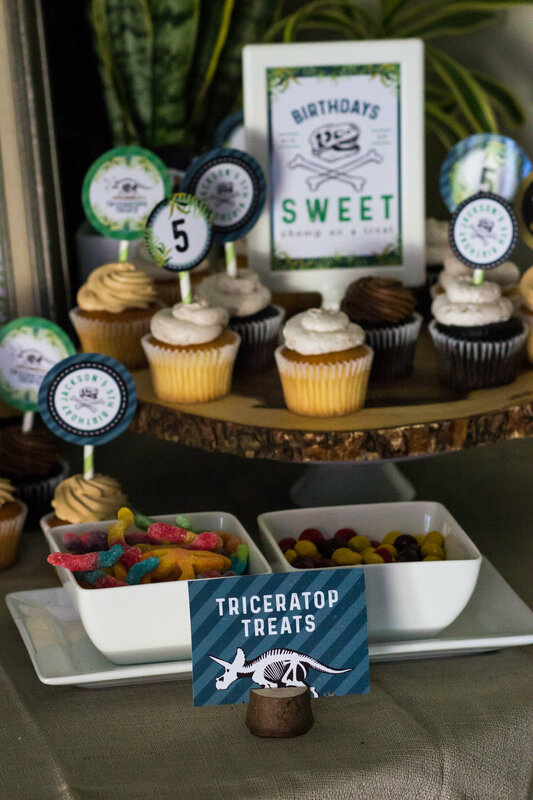 Don't forget to tag us in your party photos when you use our printables. We love to see what you do with them #mkkmdesigns on Facebook and Instagram. Welcome to the Dark Side. In case you didn't know, Storm Troopers and Kylo Ren are apparently the good guys. At least, my 3 year old thinks so. This party was an attempt at making the bad guys, the good guys, if only for one afternoon. The printables are mostly from the dark side, but there are a few from the light side, thrown in as well. 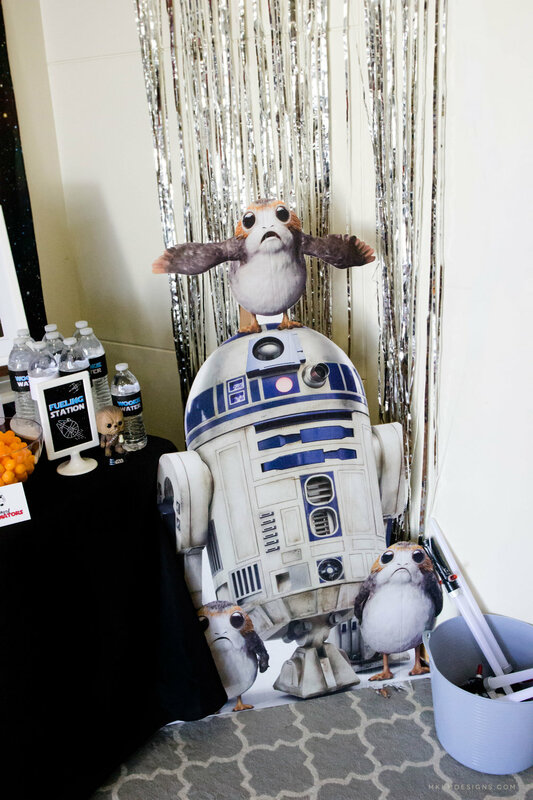 Full of cheesy puns, this party was a blast for all the little Star Wars loving boys. 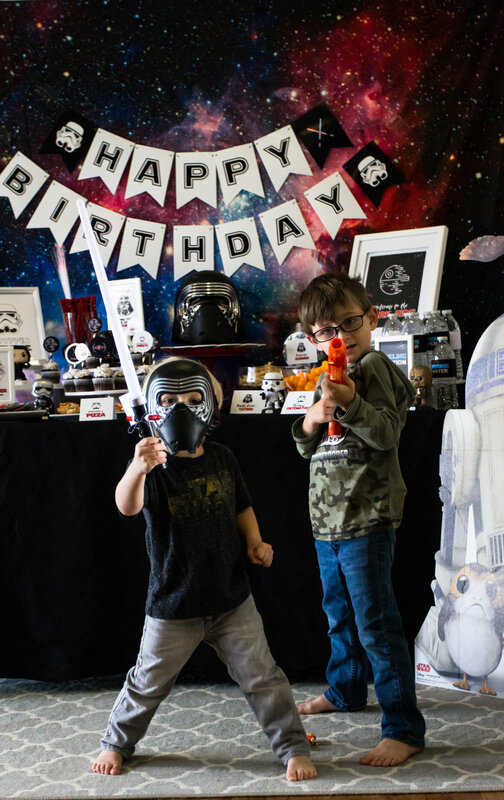 Scroll down for party ideas, free printables, and affiliate links to some of the fun products we used to make this party come to life. When I first started creating this party, I had one or two puns thrown in, and shortly become Pun-stoppable.... LOL... No? Seriously, I fell deep down into a pun hole and couldn't dig myself out. Some of these signs and cards had me cackling. It was fun having printables that the adults could get a kick out of too. This backdrop was one of my favorite things about the entire party. It really brought everything to life. It lasted through this party, another Star Wars party a couple weeks later, and multiple beach trips at this point. SO SO GOOD! The custom 8x10" Birthday Age sign's are available here. Just let us know in the notes to seller, what name, age and character you need (StormTrooper, Vader, or C3PO). The "Happy Birthday" banner can be set up as a $5 custom listing upon request. The invitation is available for $15 upon request. Contact us on Etsy to set up a custom listing for you. 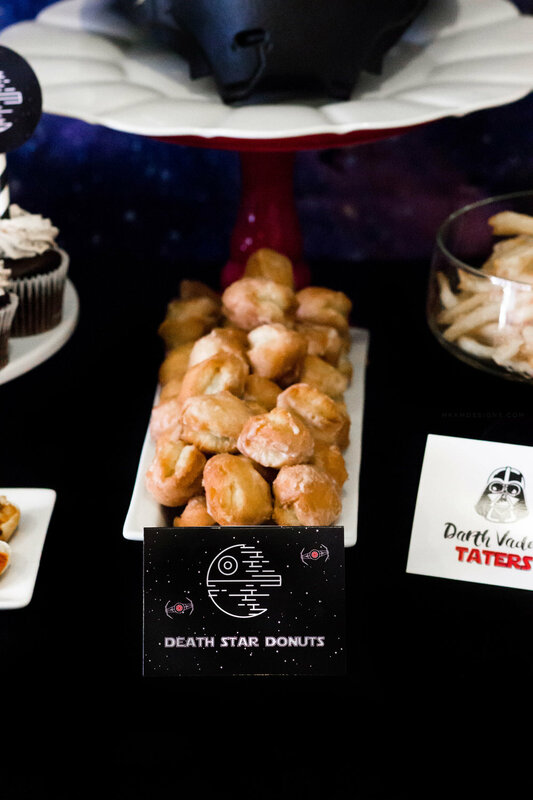 If you'd like any other party signs in a Star Wars theme, or any other customized printables, you can always reach out to us on Etsy to see if we are taking custom requests! Need a different size or wording for these table signs? 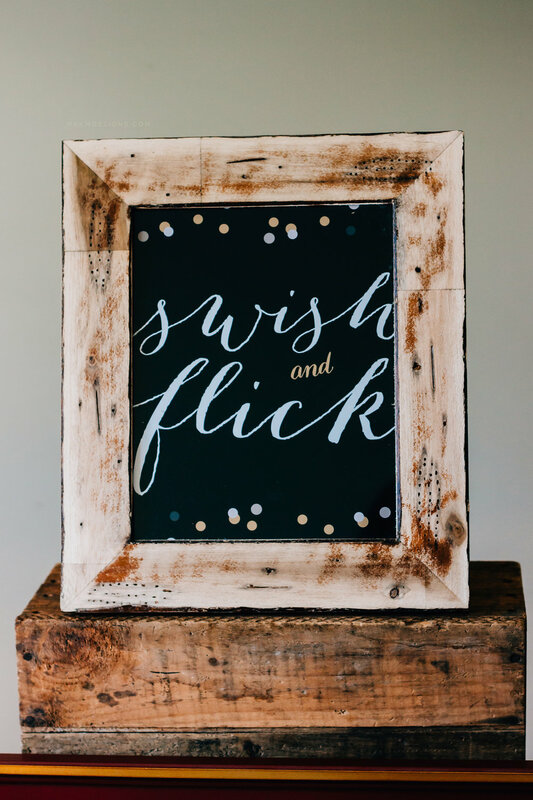 You can purchase your custom created signs to make your event perfect here. One of my absolute favorite parts about this party, was that we got to incorporate all of the POP figures that we've been collecting over the years. NERD ALERT! My husband and I have a huge collection of them and the kids thought it was awesome seeing them all over the place. They were such an easy thing to add to the party, to make it that much more special. As these are free files, to be used for individual printing only, we do not individually email the JPEG's out as it is time consuming and takes away from our business work. If you're having trouble downloading the zip folders, a quick google tutorial will usually help you out. Thanks for your understanding! All copyrights and trademarks of the character images used belong to their respective owners and are not being sold. This item is not a licensed product and I do not claim ownership over the characters used in my designs.